Re: I am very, very sorry. Ahhhh every single satelite can reveal my personal belongings in the backyard. But the magic jargon of the church of scientism can easily fix this idiocy. Car in the street captured by a satelite ? Of course !!! Is it commercially viable to upgrade 50yrold equipment? So they have a building at the South Pole Rab? Yes, they have buildings and a good astronomical telescope there. The South Pole Telescope at the Amundsen-Scott South Pole Station is constantly scanning the universe. The South Pole Telescope (SPT) is a 10 meter (394 in) diameter telescope located at the Amundsen–Scott South Pole Station, Antarctica. The telescope is designed for observations in the microwave, millimeter-wave, and submillimeter-wave regions of the electromagnetic spectrum, with the particular design goal of measuring the faint, diffuse emission from the cosmic microwave background (CMB). The first major survey with the SPT–designed to find distant, massive, clusters of galaxies through their interaction with the CMB, with the goal of constraining the dark energy equation of state–was completed in October 2011. 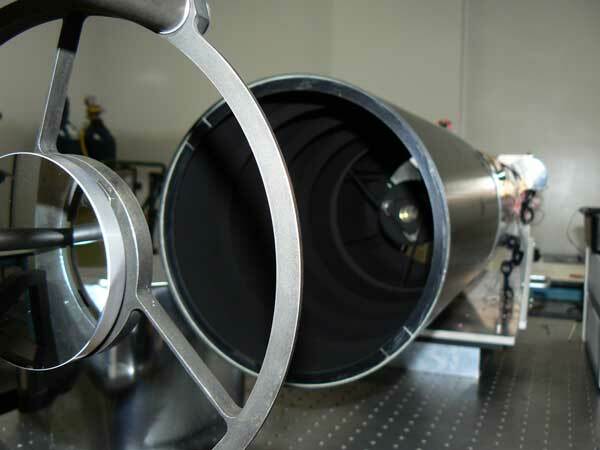 In early 2012, a new camera (SPTpol) was installed on the SPT with even greater sensitivity and the capability to measure the polarization of incoming light. This camera operated from 2012-2016 and was used to make unprecedentedly deep high-resolution maps of hundreds of square degrees of the Southern sky. In 2017, the third-generation camera SPT-3G was installed on the telescope, providing nearly an order-of-magnitude increase in mapping speed over SPTpol. How come google earth doesn't show it. You don't believe in satellites anyway. No suitable satellites are in polar orbit so any photos would have to be high altitude aerial photos. 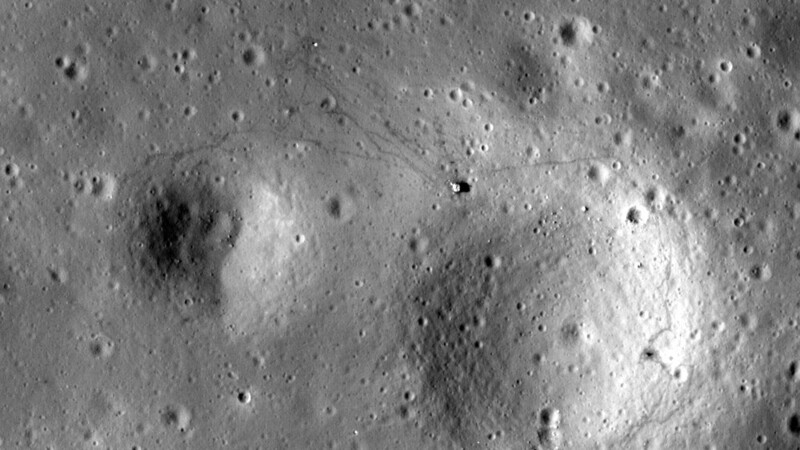 If you are interested in how the traversed the VA belts I'll go into that too. Strangely this photo showing Antarctica is relevant! Harrison H. Schmitt lunar module pilot -- traveling toward the moon. This translunar coast photograph extends from the Mediterranean Sea area to the Antarctica South polar ice cap. to photograph the South polar ice cap. Note the heavy cloud cover in the Southern Hemisphere. Almost the entire coastline of Africa is clearly visible. Africa is the Malagasy republic. The Asian mainland is on the horizon toward the Northeast. You didn't believe it last time so what's point of showing you photos anyway. See even they couldn't fake it. Of course, they could fake it but since Google Earth is not fake, they don't fake it. You mention multiple expeditions to south pole? And I gave numerous references to them. If you're too lazy to read them that's not my problem. Here read these! Prove to me those expeditions actually occurred. Why bother? Prove to me that you ever exist and aren't just an AI chatbot. Just the sort of response I'd expect from "an AI chatbot" - said so. So they have a building at the South Pole Rab? How come google earth doesn't show it. See even they couldn't fake it. I can think of several reasons but don't know if they are correct. You should be asking Google, anyway, not Rab. If they wanted to fake it, they could. Apparently didn't see any reason to do so. You mention multiple expeditions to south pole? Prove to me those expeditions actually occurred. It never happened. Trip reports exist, but those aren't proof. Go yourself. Here's a tour company (picked at random) that offers to get you there. There are others. Spoiler: it's not cheap. 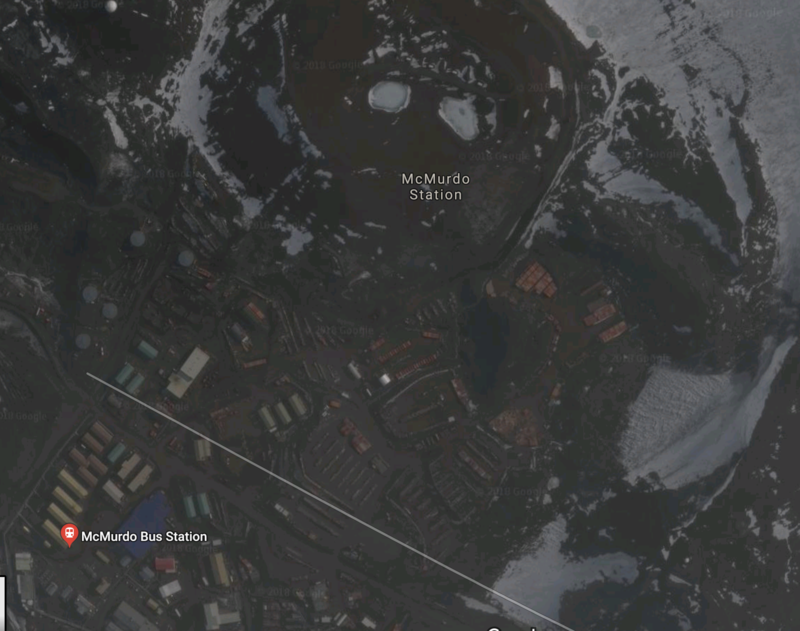 That's McMurdo, not the South Pole Station. McMurdo is about 800 miles from the geographic south pole. Sorry to disappoint, but high-resolution Google Earth imagery is from aerial photography, not satellites. Areas covered only by satellites have much lower resolution. This is one reason why the South Pole Station may not be obvious in GE. 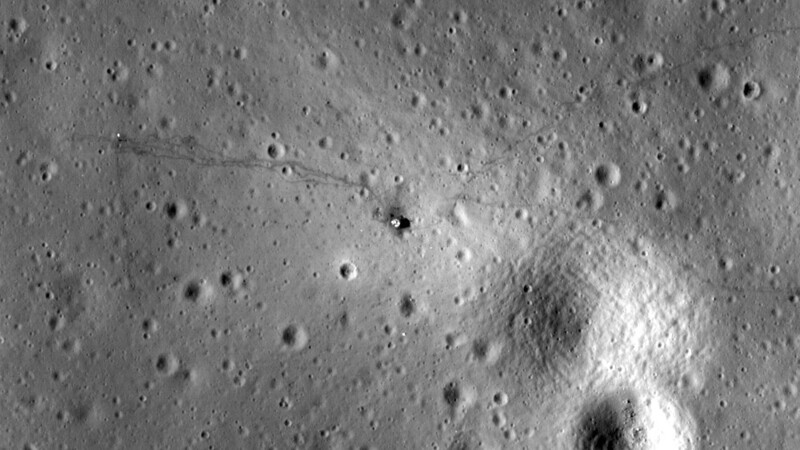 Lunar photographic mapping is from much higher above the lunar surface than typical aerial photography of earth, so even the best detailed images of landing sites aren't as good as terrestrial images of earth available from GE. 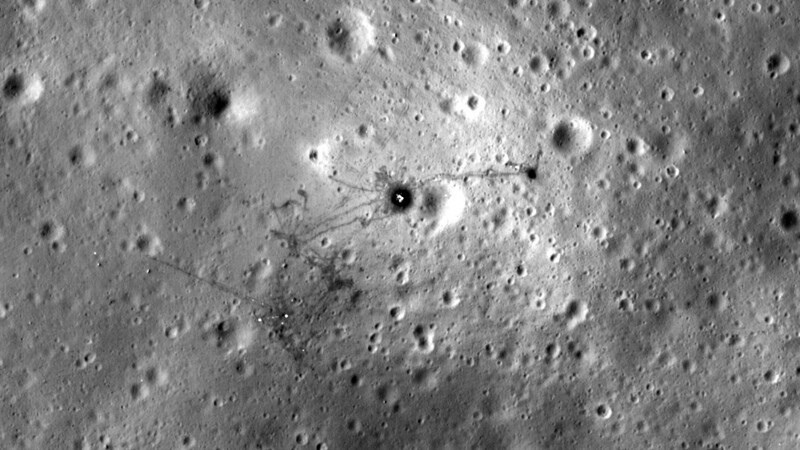 If someone wanted to launch a lunar probe whose whole purpose was to image the Apollo sites, they could probably (or at least theoretically) do better, but it's not worth the cost and effort. Sorry. Besides... you'd most likely still just dismiss the results anyway. Incorrect! Every single satelite cannot reveal your personal belongings in the backyard! The highest resolution weather satellite is the Elektro-L No.1 Russian weather satellite and "the images have a resolution of one kilometer per pixel"
It appears, the largest known spy satellite has a mirror about 2.4 meters in diameter (there's no coincidence this is the size of the Hubble and the size of the space shuttle cargo bay). Now at visual wave-lengths and at 250km, this gives a resolution of 0.05 meters, or about a few inches. The Lunar Reconnaissance Orbiter does not have a mirror anything like 2.4 meters in diameter! 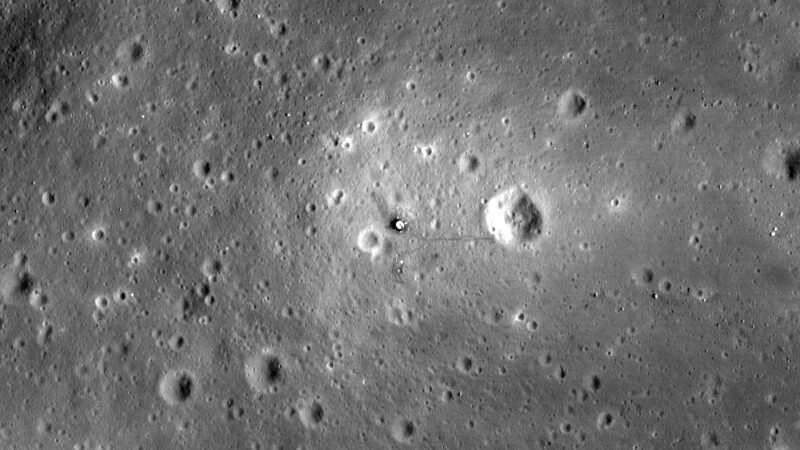 What is LROC (Lunar Reconnaissance Orbiter Camera)? 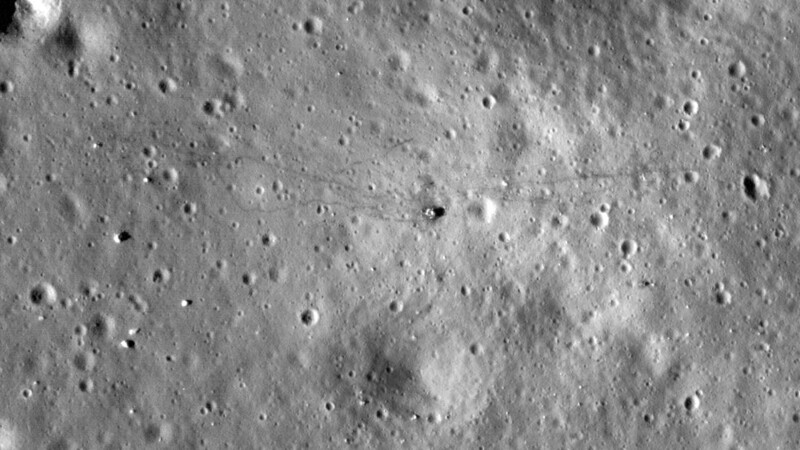 The Lunar Reconnaissance Orbiter Camera, or LROC, is a system of three cameras mounted on the Lunar Reconnaissance Orbiter (LRO) that capture high resolution black and white images and moderate resolution multi-spectral images of the lunar surface. LROC consists of two Narrow Angle Cameras (NACs) that are designed to provide 0.5 meter-scale panchromatic images over a 5 km swath, and a Wide Angle Camera (WAC) that provides images at a scale of 100 meters/pixel in seven color bands over a 60 km swath. The Sequence and Compressor System (SCS) supports data acquisition for both cameras. You might note (if you know what the words mean) that's its best resolution is 0.5 meter compared to 0.05 meter on the best spy satellites. No "magic jargon of the church of scientism" is needed, just facts - something that's never bothered you much. Of course your adherence to the false teachings of "the Church of neo-Flat Earthism" doesn't help! Why should NASA go to the expanse of a sending a telescope of that capability to the moon? You'd just ridicule the result as you do with everything else. And if you ever prove the lunar missions a hoax, dutchy, what have you proven about the shape of the earth - a big fat nothing ! New Earth, any chance you can mix in a few emojis occasionally? I honestly can't tell when you're joking or not. I know people working in Antarctica right now as I type. They are there, and I will be there. Again, you say you believe Earth is a globe, so I don't understand any issue you may have with Antarctica? Wise or Dutchy on the other hand, well, that might be a whole other story. Dutchy, I wouldn't worry too much about those pics being too low quality for your liking of the Apollo 11 equipment still on the moon. 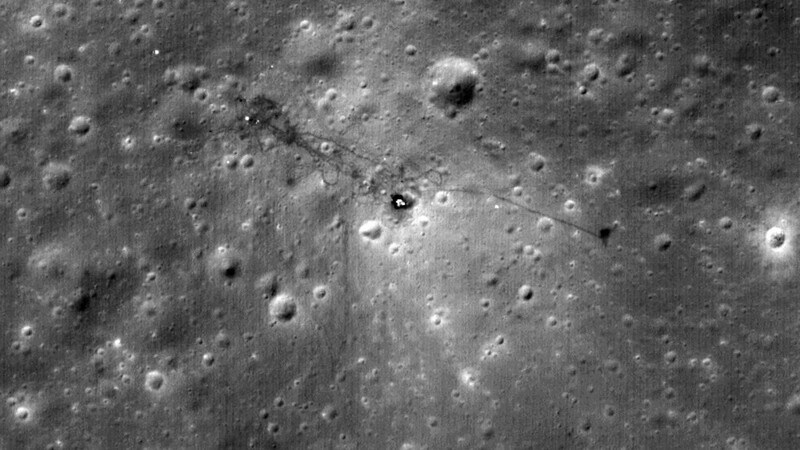 I'm pretty sure when the Chinese land on the moon, they will visit that spot and provide much clearer images, or maybe even bring some equipment back to Earth for NASA. If you sit down and do the maths, getting to the moon while complicated, wasn't impossible. Yeah! You tell him Dutchy. The fundamental principles of optical design is all part of the conspiracy! It’s just as ridiculous as someone taking pictures on a beach with their camera and claiming it proves the earth if flat because they don’t believe in refraction. Like the rest of anti science brigade, flat earthers are perfectly happy with using consumer products of science and technology to tell us all how woke they are. I love the dichotomy of claiming all satellite photos are faked but then pointing to the lack of detailed photos of Antarctica or the Apollo landing sites as proof neither exist. They didn't bother to fake photos of the Amundsen station in Antarctica or the Apollo moon landing site because they want us to figure out that all the other satellite photos are fake and that the Earth is really flat. The round-Earth conspiracy was never intended to be taken seriously, but now that pretty much everyone is a globist they're afraid to admit it was all a joke to begin with, so they're putting out little hints, hoping people will figure it out. So far, this little corner of the internet is the only place where anyone has. Right.....A conspiracy that was started over 2 millennia ago that no one figured out until recently. Wouldn't you get tired of perpetuating a conspiracy after two thousand years? If it were a conspiracy. Nice use of the subjunctive, NSS!